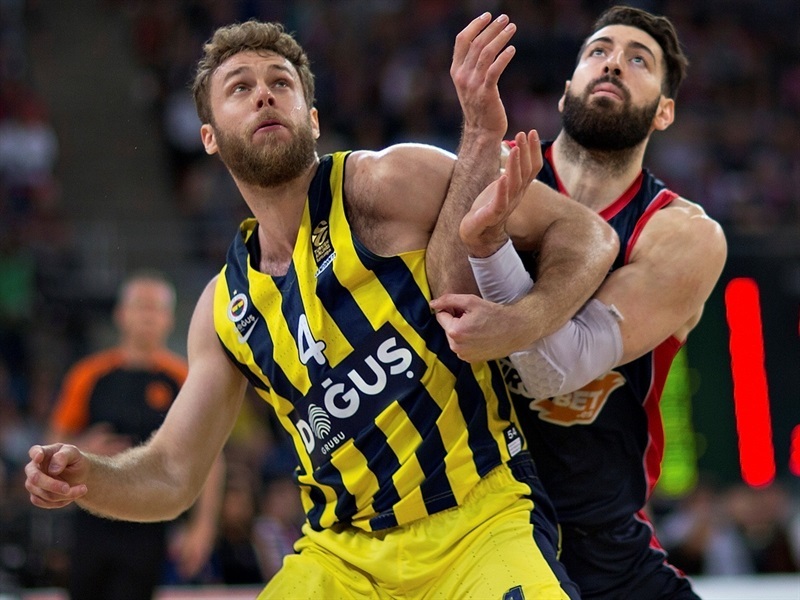 Fenerbahce Dogus Istanbul advanced to its fourth consecutive Turkish Airlines EuroLeague Final Four on Thursday by defeating KIROLBET Baskonia Vitoria Gasteiz 83-92 at Fernando Buesa Arena to win their best-of-five playoff series 3-1. 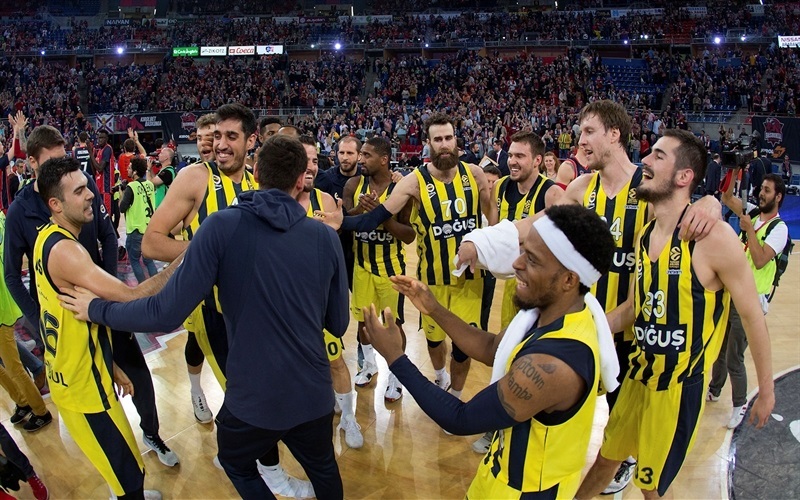 The defending champion will face Zalgiris Kaunas in one of the EuroLeague Semifinals on Friday, May 18 at Stark Arena in Belgrade, Serbia. 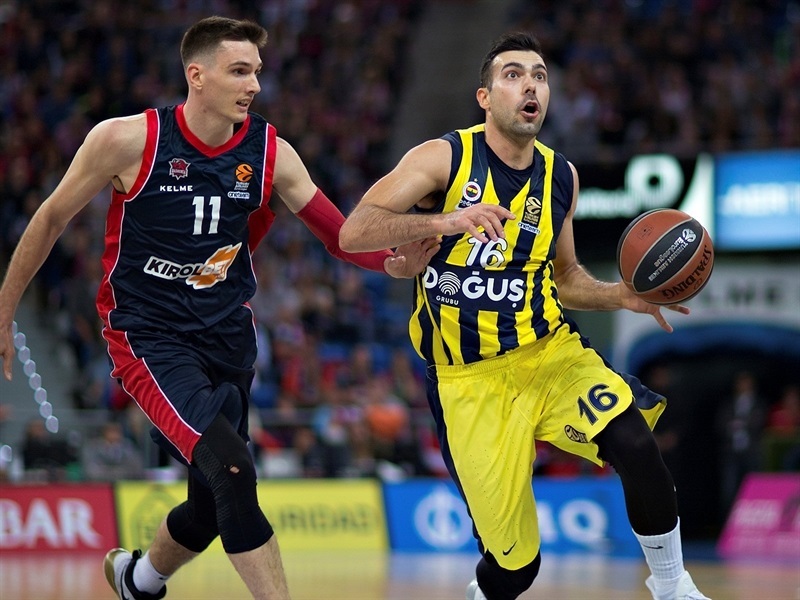 Marko Guduric led the winners with 22 points, Nicolo Melli scored 21 and Nikola Kalinic added 13, while Kostas Sloukas delivered 8 assists for Fenerbahce. 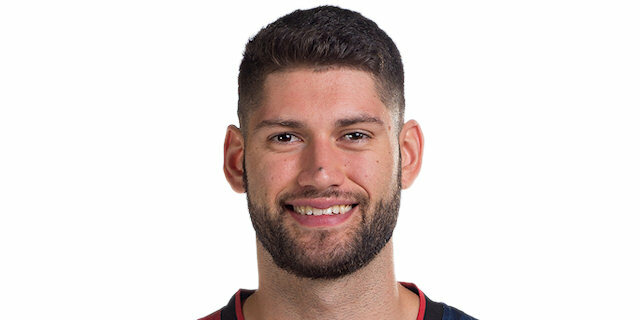 Vincent Poirier paced Baskonia with 14 points. 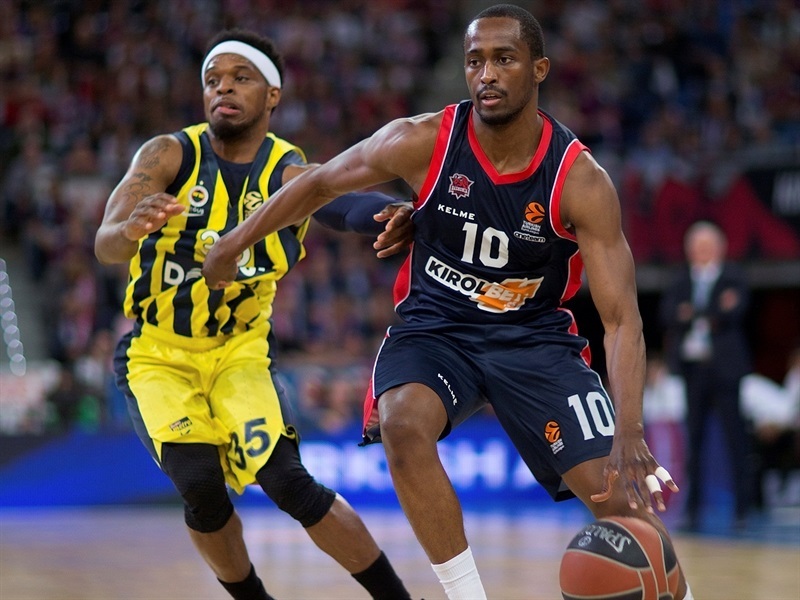 Rodrigue Beaubois added 13, Johannes Voigtmann scored 12, Marcelinho Huertas and Toko Shengelia each had 11 and Jayson Granger 10 for the hosts. Fenerbahce used a big second quarter to cruise into halftime leading 32-48 and extended it to 47-68 late in the third quarter. 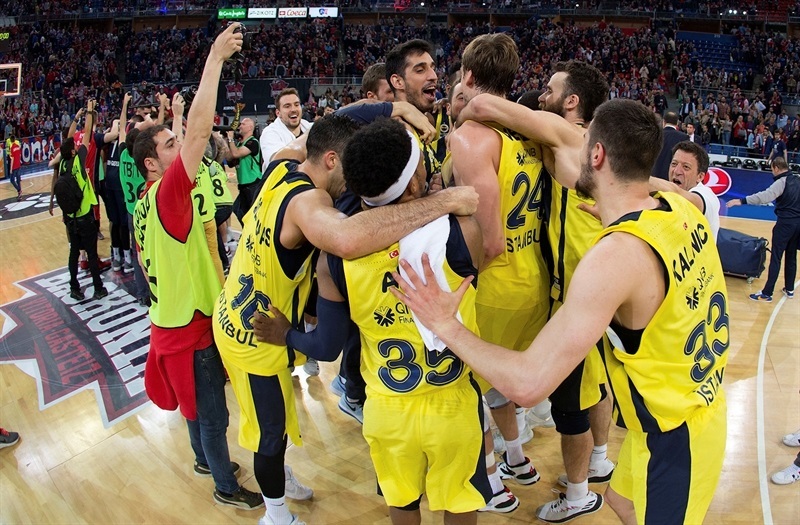 Voigtmann led a 13-0 run that brought Baskonia back to life at 60-68, but Kalinic and Ali Muhammed restored a 69-84 Fenerbahce margin midway through the fourth quarter and the visitors never looked back en route to claiming a Final Four ticket. Ahmet Duverioglu and Guduric got Fenerbahce going with consecutive layups, but free throws by Poirier and Beaubois and a corner triple by Voigtmann gave Baskonia a 7-4 lead. 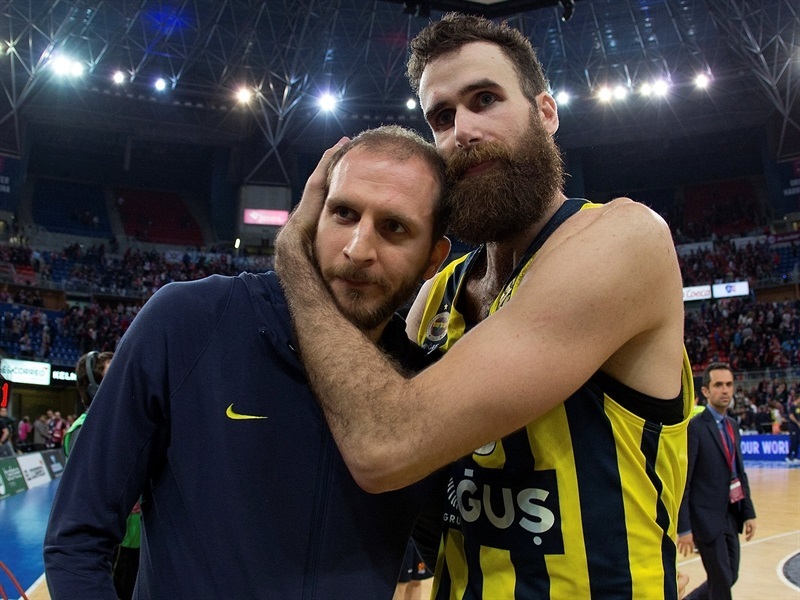 Luigi Datome swished a jumper before Huertas answered with a floater, Patricio Garino added free throws and Beaubois bettered Brad Wanamaker's basket with a triple to make it 14-8. 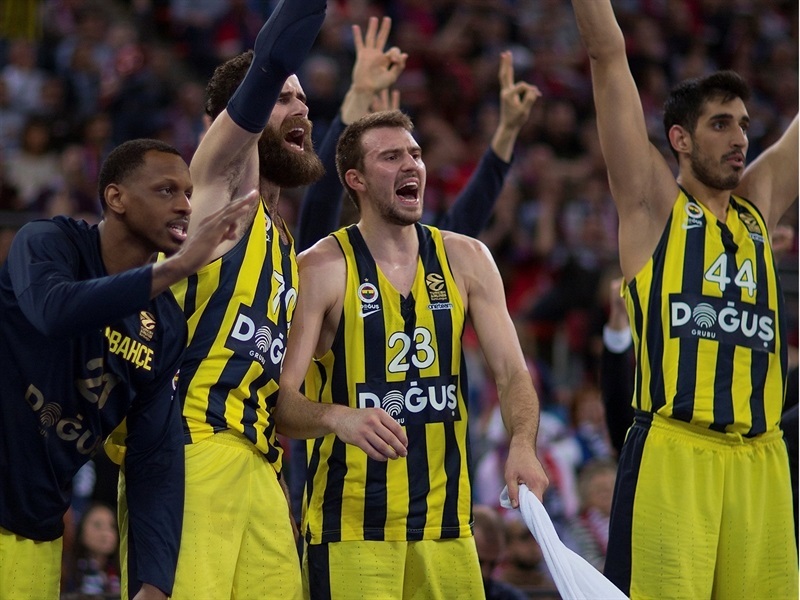 Guduric and Wanamaker kept pushing Fenerbahce and a three-pointer by Kalinic tied it at 17-17. Melli scored in penetration and Guduric improved on Toko Shengelia's foul shots with a bomb from downtown. Melli copied him right after that for a 19-25 Fenerbahce lead after 10 minutes. Huertas stepped up with a layup-plus-foul early in the second quarter, but Jason Thompson made free throws and three-pointers by Guduric and Melli made it a double-digit game, 22-33. 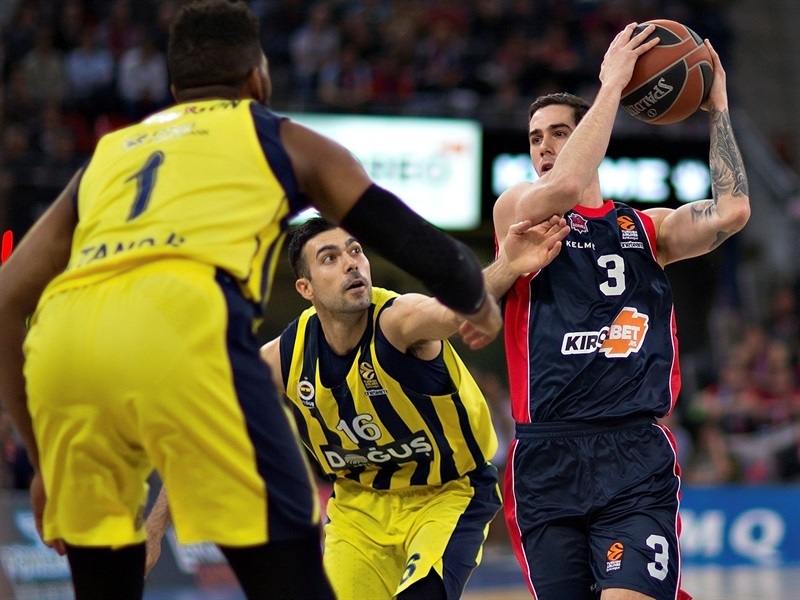 Poirier scored down low and Huertas added back-to-back driving baskets, but Thompson and Kalinic kept Fenerbahce in control at 28-39. 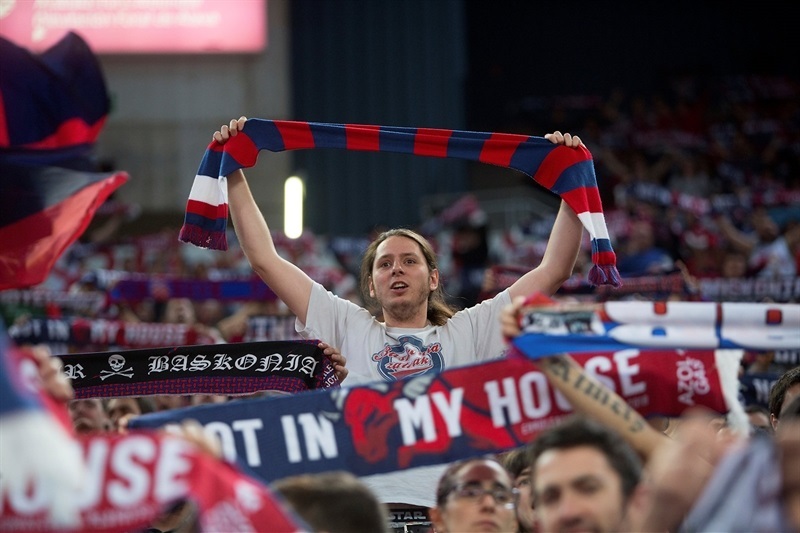 Sloukas struck from downtown and a jumper by Kalinic caused Baskonia to call timeout at 30-44. Sloukas and Datome hit respective jumpers for a 32-48 Fenerbahce lead at halftime. Beaubois and Poirier hit free throws after the break, but a dunk by Duverioglu and a triple by Guduric made it 36-53. 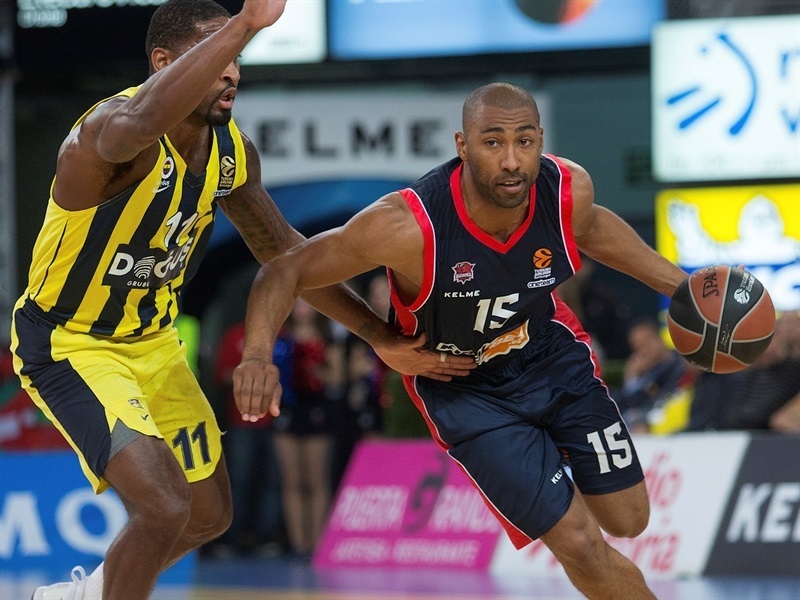 Beaubois scored again and dunks by Poirier and Shengelia gave Baskonia hope at 43-56. 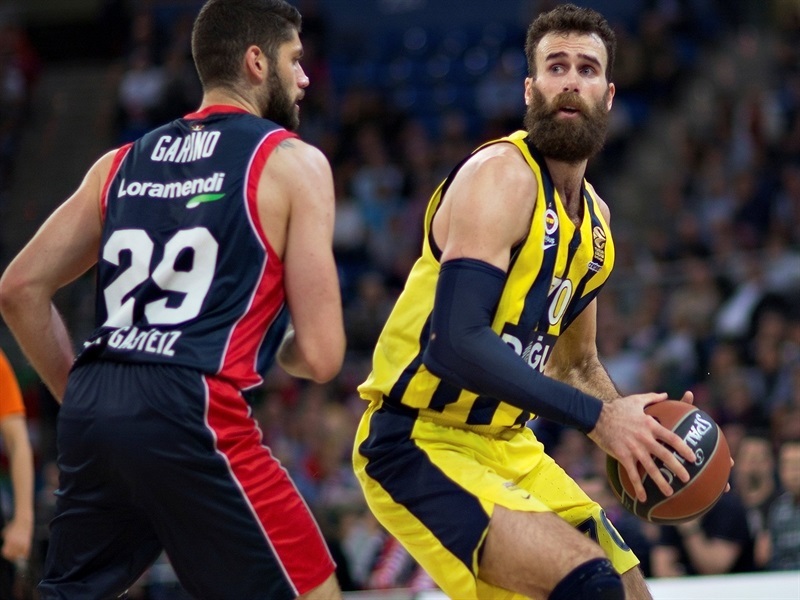 Melli downed a three-pointer and Guduric hit 4 free throws for a 45-63 Fenerbahce lead. Melli soon boosted his team's lead to 21, but Poirier hit free throws Garino and Voigtmann each struck from beyond the arc. Matt Janning added a floater and another triple by Voigtmann brought Baskonia within single digits, 60-68, after a 13-0 run. 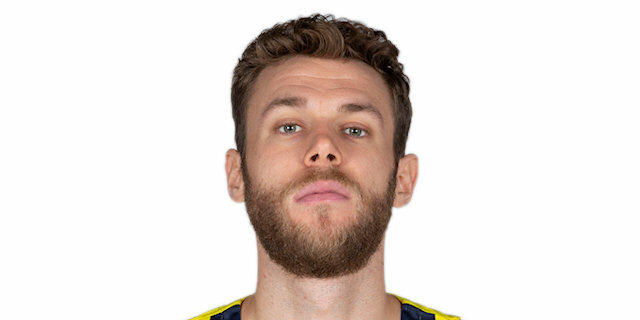 Guduric, Shengelia and Garino split free throws and a three-pointer by Muhammed gave Fenerbahce some fresh air at 62-72 through 30 minutes. 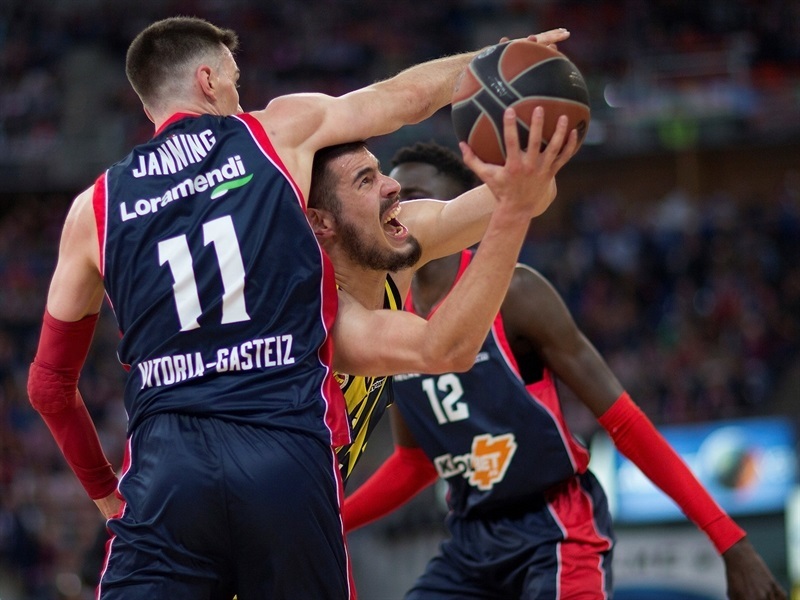 Jan Vesely took over with a wild dunk-and-foul early in the fourth quarter and Kalinic added a layup, but Shengelia and Voigtmann brought Baskonia within 67-77. Kalinic hit a turnaround jumper and Muhammed did even better with a three-pointer. Melli soon made free throws to establish a 69-84 Fenerbahce margin. 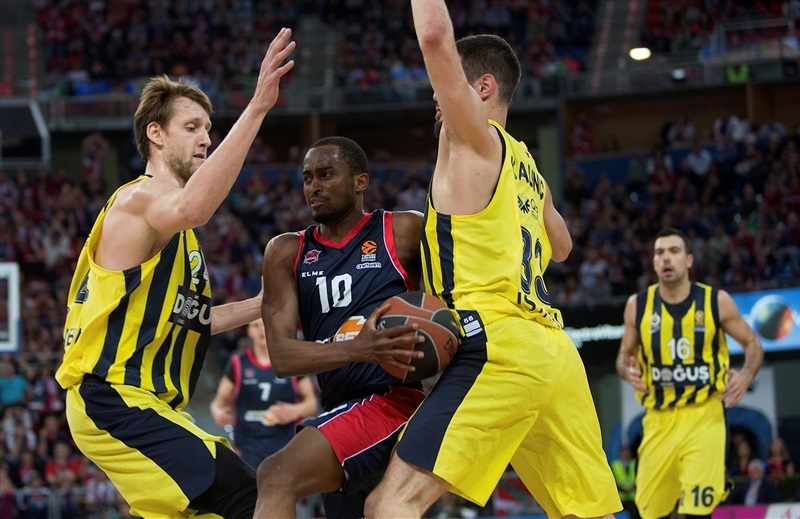 Baskonia kept trying, but Fenerbahce was well on its way to a historic road win and another trip to the Final Four. "Fenerbahce was better than us in this game, especially in the first half. We had a good start, but they played with more physicality and toughness than we did. That made us uncomfortable, losing our rhythm on defense. Their defense was much better than ours in the first half. It is true that they hit some shots because of their talent, but I believe that, in that sense, they were tougher, more aggressive, using full-court pressure, being tougher in the passing lanes, making more fouls and reaching the foul penalty earlier. We were not able to match their defensive level and they are a talented team; if you don't do well on defense, they scored the way they did in the first half. The team did well in the second half, being tougher and more aggressive. We were able to see the light when we were down by 7-8. It was a good option, but the difference was big and we were not able to make it. That was our best moment of the game, and it came by being tougher and more aggressive than before. It is too early to think about the whole season, because I have the feeling this was the game in which we were less competitive. Right now, I am hurt for not being able to compete a bit more, especially in the first half. If I don't think too much about today's game, we had a good EuroLeague regular season. You always have the feeling you could have done better in some game, but we competed well and then in the playoffs, we did some good things even though we don't have that feeling right now. We were growing in every playoff game; we played an excellent Game 2, and then Game 3 was one of the best ones this season. I hope that the team grew in this series and now, we have the final games of the Spanish regular season and its playoffs. We will try to do well in the remainder of the season." 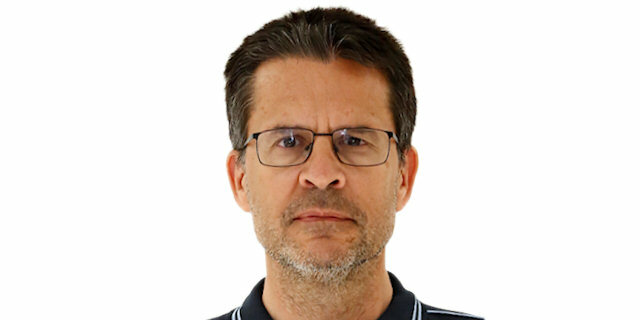 "Thanks to Pedro Martinez for that opinion [he said that Fenerbahce would be the EuroLeague champion if it won this series]. I understand that he prepared the game the same way we did. Both teams know each other very well, but to talk about this right now is very difficult. I have to let my players enjoy this tonight and get back to work tomorrow. It is too early to talk about the Final Four; we have a Turkish League game on Saturday. We have to analyze Zalgiris - by the way, congratulations to my friend and ex-player Saras for the incredible result his team achieved. It will be very interesting, and thanks again to Pedro. If it happens, I owe him, at least, a big-time dinner. At this level, when you have the best eight teams in Europe, we all talk about who is favorite or not, but that doesn't exist at this level. Zalgiris beat Olympiacos in the final game of the regular season, beat them again in a tough court and won both games at home by a good margin. They deserve to be there. Is it a surprise? You always talk about the teams with home-court advantage as favorites but it is shown many times that it is not like that." "This is a bitter feeling, but we have to learn from this. They were much more aggressive than us in the first half and we paid a high price for it. We lacked aggressiveness and concentration. You could tell that they really wanted to make it to the Final Four and we lacked that spark in the beginning of the game." "For me it's the first [Final Four], so I'm very happy. It was the main goal of the season. We achieved it. Now the Final Four is going to be two special days. Now we are just happy for the qualification. We played a great game, very intense. 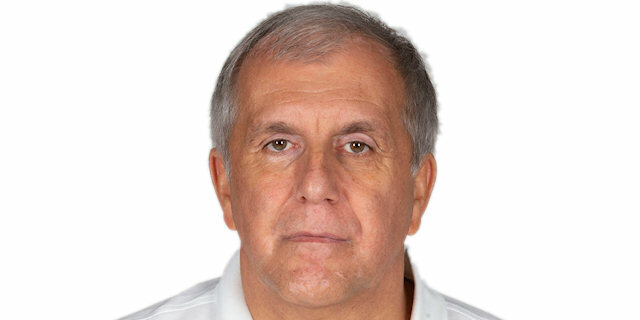 And I also believe well deserved against a very, very good team, super in-shape. I think we did a good job here."